Yom Kippur is typically observed by fasting. On the Day of Atonement, members of the United Orthodox Synagogues will face a poignant time of reflection. The call exposed a fissure within the American Jewish community on how to approach relations with the White House. On Jewish Solemnity And Celebration: "The Nine Days Of Redemption"
Yom Kippur, the Jewish holiday of repentance, had barely been over for 14 hours and I was already fighting with my husband. Has my Teflon-coated mind not retained a single shred of serenity? Repentance? Determination to be better? To do better? A mother of two attempting to maintain (or regain?) sanity. There's a song that's included in the children's Yom Kippur service at the synagogue where I work, as I imagine in many more around the world, as well, titled It's Better to be Better. The staff and I (and I'm sure the congregants who attended the children's service) have had it in our heads and often jokingly will respond to requests or comments with, "it's better to be better!" God is ready to turn the page on a New Year, not just for the Jews, who are ushering in the year 5777. This New Year is for all of us, every faith, every culture, every person. God knows we all need a New Year, as this one was so full, too full, of name-calling and violence and despair. Dates, prayers, history and more. 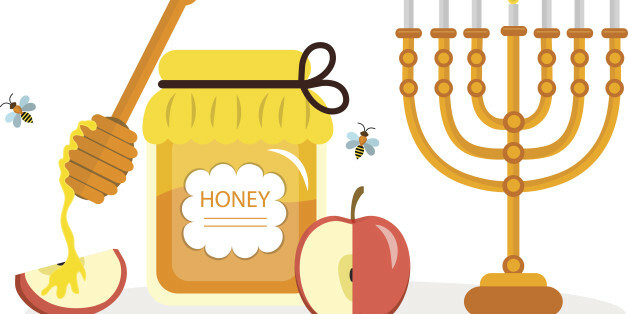 This past Monday and Tuesday marked the observance of Rosh Hashanah, the Jewish New Year. At the temple I attend, the president of the congregation told the story of her own path to that congregation--a journey that began in Europe as the political forces were brewing that would eventually become the Holocaust. I believe in the story of a God who writes and seals my fate in a Book of Life each year, but I don't believe in such a God, and I can't accept that concept of fate. Here's what I do accept, because I have to: Fatality, which fate inheres in, doesn't depend on my believing in it or not.